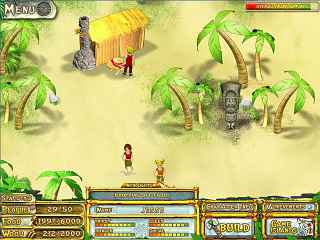 Free Download Escape From Paradise Game or Get Full Unlimited Game Version! Play 5 major games, conquer 12 mini games, and lead the survivors of a shipwreck on 1 epic adventure! Can you Escape From Paradise? In order to get advantaged of playing Escape From Paradise full unlimiteg game version you must register the game. 5 Games In One Great Adventure! Create Your Own Custom Characters! 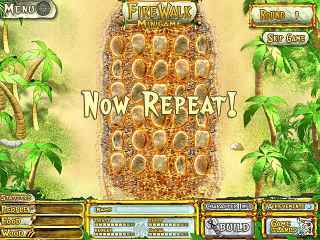 Play addicting mini-games and complete challenges to advance, exploring more and more islands in this fun sequel! Help Summer start her new job, and work her way to the top of Club Paradise! Keep the customers happy to earn tips. Paradise awaits in this fun filled flower matching game! Match 18 unique flower types as you build your own Japanese, Hawaiian and French gardens! While on vacation, Granny's cats go missing. Help Granny rescue her precious kitties and thwart the plans of the nefarious Dr. Meow! This is no day at the spa! It's you versus your biggest rival, the evil Pet Corp, in this fast paced fur flying endeavor! So many pets, so little time!